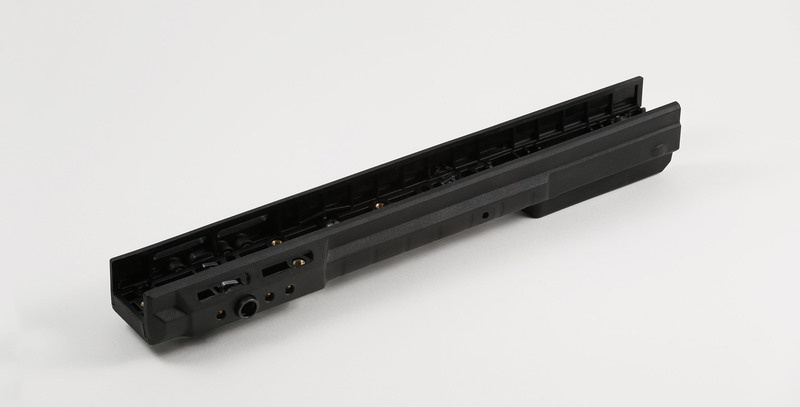 This is the polymer forend that comes on the gen 5 and newer W-3. It's lighter than the older aluminum forend by about 7oz roughly and has a built in QD mount point on the sides plus threaded mounting points on the sides and bottom. It has a built in barrier stop in front of the mag and a flat bottom surface. Fits: All Whiskey-3, X-ray, and Bravo chassis. Restrictions: When using with spigot mount, leave off front two mounting screws for forend. Older chassis don't have these threaded mounting points on the backbone anyway. Remington 700 long action forend uses AICS CIP length magnum magazines now (spacer to use standard magnum magazines is available). Made by KRG. Material: Polymer, Steel QD cup.